Back in 2014 when Seng was just 18 months old, he pulled a rice-cooker of boiling water down on his head. His injuries included deep burns to his face and right hand, and the risk of going blind. A local surgeon who had trained alongside Interplast teams treated Seng’s burns. Not long after, a visiting Interplast surgical team was able to work with the local surgeon to further treat the burns. Interplast’s ambassador Turia Pitt accompanied this team. She had previously suffered personally with horrific burns to 65% of her body. 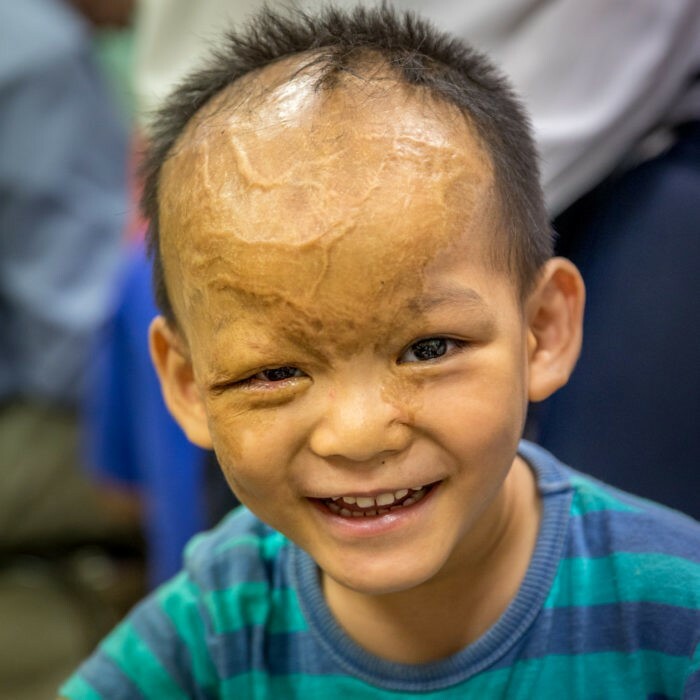 Seng is now nearly five, and as you can see he is full of life and character, and our surgeons say he is developing well. They will check on his progress again next year. We love hearing how he Seng is going and seeing that infectious smile that brightens up our days! Thanks to those Clubs and individuals who have been donating to the District 9930 Challenge for wanting to take part in helping people like Seng and giving local medical staff the opportunity to learn new skills that will benefit the community for years to come.